‘La bombe’ is the way Simon Porte Jacquemus thinks of his late mother, Valérie, who is the designer’s lifetime inspiration and muse. It’s a popular saying for beautiful, confident women in the Soe uth of France – the region, where the designer was born and which he continues to celebrate in his collections. The spring-summer 2018 show was like a sun-drenched fashion poetry, that took place in an extraordinary location – at Musee Picasso in Paris (no other fashion show took place here before). A special place requires special clothes, and Jacquemus’ pieces will be exactly what you’re going to demand when the summer comes – mini-dresses kept in sultry lengths, curved straw hats (slightly different from the ones from the memorable spring-summer 2017 La Santons de Provence collection), polka dots and lots of eclectic, Lacroix-like jewellery, but kept in a more minimal, sweet-candy style. This season, the textures feel softer than usual at Jacquemus. The young designer is keen on experimenting and he felt like draping and shaping the silhouette with the textiles, rather than keeping it stiff and statuesque. Simon had also been thinking about “French Island girls—they could be in Corsica, or Martinique in the Caribbean, too.” Henri Matisse’s paintings appear in my mind right away. The overall effect? Blushing girls with their unfinished make-ups, in care-free dresses that they really ENJOY wearing – that’s the most frivolous and heart-warming start of Paris fashion week you could imagine. The Jacquemus femme is a bomb in every meaning of this word this, and every season, that’s for sure. 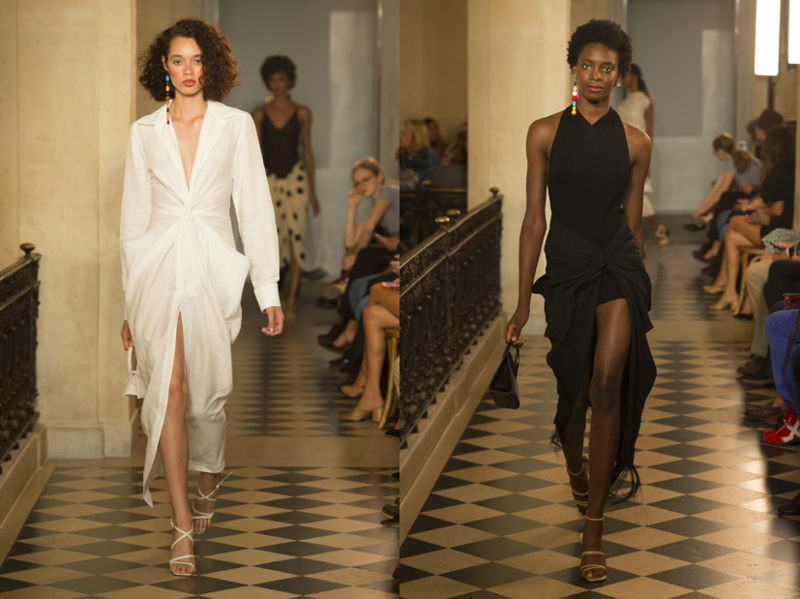 This entry was posted in Paris, Trend Reports and tagged Jacquemus, paris fashion week, pfw, Spring 2018, SS18. Bookmark the permalink.